Jose Mourinho’s struggle for success at Manchester United has seen Real Madrid replace the club as the continent’s biggest earners and allowed Manchester City to narrow the earnings gap on their neighbours by a massive £40m. United had been top of the Deloitte Money League for the previous two years but despite a return to the Champions League did not venture beyond the round of 16, so Real and Barcelona have leapfrogged them as Europe’s top two earners in the table. United did increase their revenues by getting back into the Champions League – but by only two per cent to £590m, a smaller rise than any club in the Deloitte top five. Matchday and general commercial revenues were both down and income from UEFA roughly similar to the previous year, when they won the Europa League. The narrowing of the traditional commercial class divide in Manchester is reflected in north London, with Deloitte revealing that Tottenham Hotspur have made substantial ground on Arsenal, with a mere £10m now separating them from the Gunners. Though Spurs’ extended relocation to Wembley Stadium has frustrated many fans, the temporary move has increased matchday revenue by 54 per cent to £26.5m. This has seen Spurs climb above Juventus into the Money League top 10 for only the second time. Deloitte believe that Arsenal’s own 17-year stay in their top 10 could now come under threat. Spurs £379.4m revenue compares with Arsenal’s £389.1m – down because of the side’s absence from the Champions League. Arsenal are the biggest fallers in the top 10 – dropping three places to ninth, their lowest position since 2004-05 after a bigger fall in revenue than any other club in the top 20. They were nearly £30m down. Liverpool’s run to the Champions League final saw them record the largest revenue increase in the Money League’s top 10 – a hike of £90.6m – and they now sit seventh. Chelsea, Everton, Newcastle United and West Ham United complete England’s representation in this year’s top 20. Brighton and Hove Albion have made the top 30 with revenue of £139.4m – 22 years after generating just £1.1m in revenue, while in crisis and teetering on the brink of relegation from the Football League. 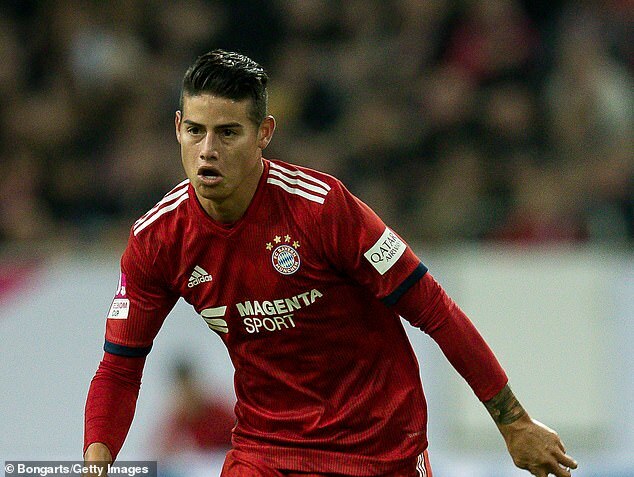 Real Madrid midfielder, James Rodriguez could move to England once his two-year loan at Bayern Munich ends this summer, according to his foster father. The Colombian midfielder is in the final six months of his temporary stay in Germany and is due to return to Real Madrid. Yet Juan Carlos Restrepo admitted the 27-year-old is keeping his options open, with Rodriguez attracting strong interest from Arsenal. ‘He is comfortable in Munich. I don’t have news about it, but there may be offers based on those rumours coming from England. He is calm and he feels that he’s at a good level again and that he’s physically strong. That gives us a perspective that he is happy, motivated and working well, as he is eager to achieve new success,’ Restrepo said. Bayern Munich spent £11.5million for the two-year loan with an option to make it permanent for £39.5million. Despite Rodriguez remaining open to a return to Madrid, he is still out of favour at the Spanish giants and will likely need to move on for first-team football. 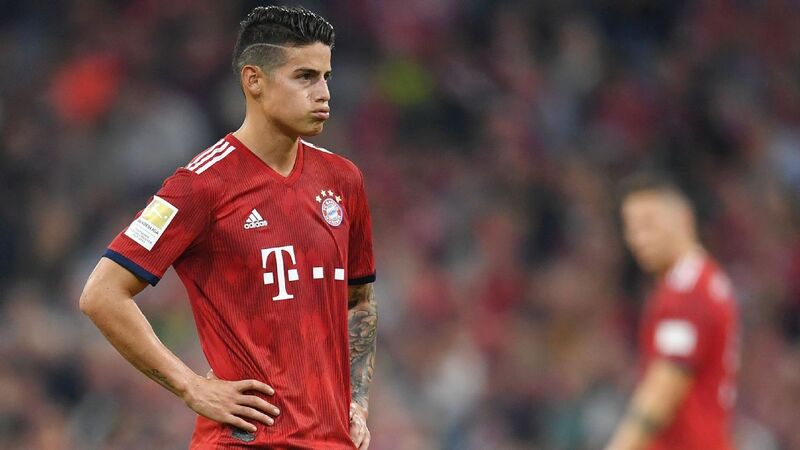 Current Bayern boss Niko Kovac has not used Rodriguez regularly since taking charge in the summer, having made only 12 appearances and scoring three goals. In total, Rodriguez has appeared 51 times and managed 11 goals during his 18 months in Germany. French side Paris Saint-Germain suffered an injury blow to their superstar, Neymar, after the Brazilian forward hobbled off injured just after the hour mark of PSG’s Coupe de France encounter against Strasbourg at the Parc Des Princes on Wednesday night. A goal in each half from Edinson Cavani in the third minute and former Manchester United midfielder, Angel di Maria, in the 80th minute sealed the win for the French league leaders. But the sweet taste of victory for Thomas Tuchel’s side was soured by injury to Neymar who was emotional as he came off the field in the 62nd miunte for youngster, Moussa Diaby, after the former Barcelona man appeared to twist his right foot. The Brazil star seemed to injure himself when Strasbourg midfielder Moataz Zemzemi attempted to tackle him three times before referee Johan Hamel awarded a free-kick. Neymar was angered by the rough treatment meted out by Zemzemi and got a form of revenge when he flicked the ball over the Strasbourg man’s head before firing wide from the resultant set-piece. However, Neymar left the pitch shortly after to receive treatment and, though he came back on, was unable to continue and looked to be in tears as he made his way down the tunnel. PSG, who were leading 1-0 at the time, face Premier League side Manchester United in the first leg of their Champions League last-16 tie on February 12 at Old Trafford. Neymar is now a doubt for that encounter against a side that has chalked up seven successive wins under interim boss, Ole Gunnar Solskjaer in all competitions and look a much different proposition for PSG from the team under Jose Mourinho when they were drawn to face each other late last year. Before facing PSG, though, Solskjaer will have another big test waiting for him in the form of a FA Cup fourth round clash with Arsenal at the Emirates Stadium on Friday, a game which comes barely two weeks after the Norwegian guided the Red Devils to an impressive 1-0 win over Tottenham Hotspur in a Premier League match played at Wembley; the win coming courtesy of Marcus Rashford’s first half strike and David De Gea’s second half heroics which saw the Spanis goalkeeper make an astounding 11 saves to keep Mauricio Pochettino’s team at bay. For PSG, Cavani and Kylian Mbappe are still available for now to lead the attack while di Maria and Julian Draxler are available options to fill up a potential void opened by Neymar’s injury on Wednesday night. Chelsea have completed the signing of Argentine striker Gonzalo Higuain on loan from Juventus until the end of the season. The deal reunites the 31-year-old striker with Chelsea boss Maurizio Sarri , who was his former manager at Napoli in Italy. ‘When the opportunity to join Chelsea presented itself I had to take it. It’s a team I’ve always liked that has a lot of history, a wonderful stadium and they play in the Premier League, a league I’ve always wanted to play in,’ Higuain said in a statement on the Chelsea website. Gonzalo Higuain will wear the No 9 jersey and is expected to make his debut against Sheffield Wednesday on Sunday or Bournemouth on Wednesday. Cristiano Ronaldo is expected to plead guilty to tax charges related to his time at Real Madrid and accept a suspended prison sentence. The Portuguese forward, who is now on the books at Italian giants Juventus, will be in the Spanish capital on Tuesday to appear before a judge. The Portuguese is due in the Spanish capital on Tuesday to appear before a judge and he is accused of defrauding authorities out of income generated through image rights. Back in 2017, Ronaldo stated that he had never tried to avoid paying the relevant taxes on his income. He was, however, accused by a state prosecutor of four counts of tax fraud from the period of 2011 to 2014. 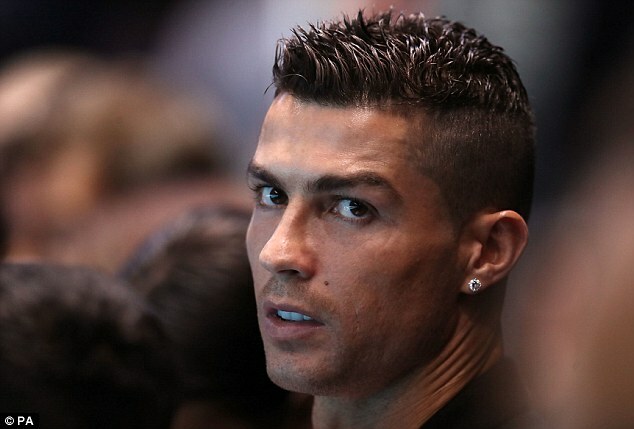 Ronaldo was said to have hidden €14.7m (£13m/$17m) in shell companies outside of Spain. The accusations do not involve the salary he was paid by Real Madrid after joining the club from Manchester United in 2009. He is now set to appear in court as a ruling on his case is made. In Spain, a judge can hand out a two-year suspended sentence for first-time offenders. 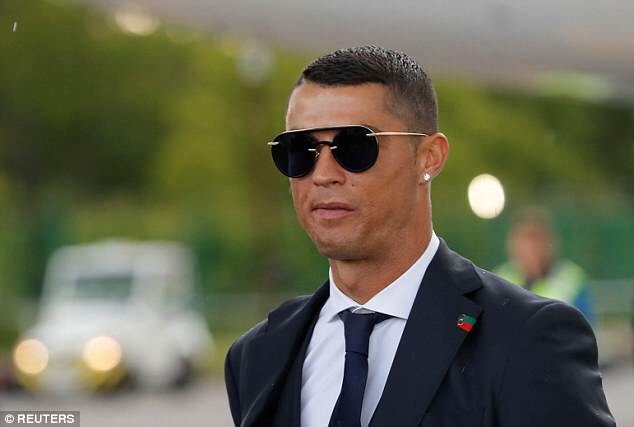 Ronaldo is expected to accept that judgment after reaching an agreement with the state prosecutor and the relevant tax authorities in 2018. He will, however, have to pay out nearly €19m (£17m/$22m) in fines. The 33-year-old has opted to appear in court in person after declining the option to address a judge by video link. His time in Madrid is not expected to last long having already reached a prior agreement with the authorities. Ronaldo’s former team-mate, Xabi Alonso, may require a little longer, though, in resolving his case. The ex-Liverpool midfielder also stands accused of defrauding tax authorities of approximately €2m (£1.8m) between 2010 and 2012. Once again, the charges relate to income generated from image rights. World Cup winner Alonso could be sentenced to five years in prison and fined €4m (£3.5m) on top of the money he already owes. The 37-year-old, who retired in 2017, denies any wrongdoing. Ronaldo and Alonso are not the first footballing figures to have been subjected to such investigations by Spanish tax authorities over recent years. Lionel Messi, Jose Mourinho, Javier Mascherano, Marcelo, Luka Modric, Alexis Sanchez, Ricardo Carvalho, Angel Di Maria, Radamel Falcao and Fabio Coentrao have all faced similar charges. Unai Emery’s dream reunion with former Villarreal star Denis Suarez seems like a deal that will not happen this January. The former Sevilla manager is keen to secure a deal for Barcelona star but complications with both Arsenal and Barcelona board members may scupper the deal. Arsenal are looking into doing business with their La Liga rivals Real Madrid instead. 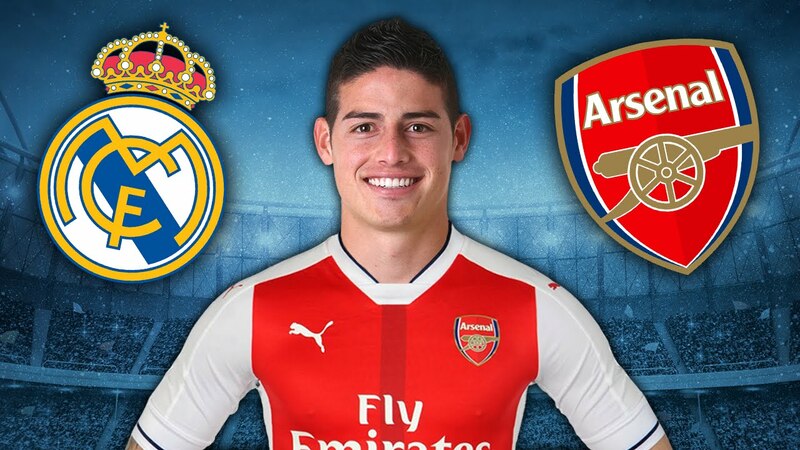 Arsenal have made official contact with Real Madrid over the possibility of signing James Rodriguez on loan this month, according to reports. 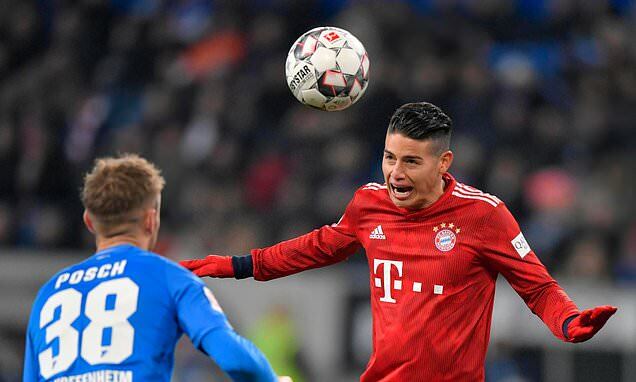 The Colombian star is currently on loan at Bayern Munich, where he has three goals and two assists in 12 appearances this season. He is set to return to Real at the end of the season and it is claimed the Spanish giants are keen to offload him. According to the Independent, the Gunners are keen on signing Rodriguez in the summer transfer window, but have made enquiries to sign him now in an initial loan deal. That would see him cut his spell at Bayern short to spend the remainder of the Premier League campaign at the Emirates Stadium, before signing a permanent deal in the summer. However, Arsenal are not the only club interested, with Napoli said to be keen. Plus, it is claimed Real would prefer the Colombian ace move to north London rivals Tottenham – as a makeweight in their desired move for playmaker Christian Eriksen. Arsenal are tight on funds in January and are currently looking to only bring players in on loan, with Barcelona midfielder Denis Suarez also said to be on their wanted list. According to the Independent, Arsenal have enquired about the possibility of signing James Rodriguez from Real Madrid on loan this January. The Colombian star is currently on an extended loan at Bayern Munich, and set to return to parent club Real Madrid at the end of the season. The European champions want to sell James on a permanent deal at that point, with that having attracted interest from Arsenal as well as Napoli. All clubs have would favour an initial loan now, something it is believed that Bayern would not be averse to. James himself is understood to want to fight it out for his place at Madrid at the end of the season, but that may prove futile if the Spanish side – as expected – sign Tottenham Hotspur’s Christian Eriksen and Chelsea’s Eden Hazard in the summer. Sources close to the Bernabeu hierarchy say they would prefer James going to Spurs to potentially smooth an Eriksen signing, with the Dane out of contract in 2020. Arsenal are yet to make a signing this January transfer window with head coach Unai Emery having earlier admitted that funds were tight at the north London club. The club therefore favour attempting to sign any targets on loan, with Barcelona’s Denis Suarez another target. “The club is for with a situation which can help us,” Emery said when quizzed about the deal after Arsenal’s 2-0 win against Chelsea on Saturday. 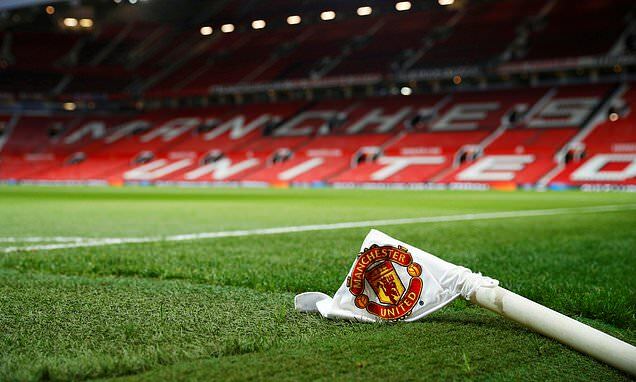 According to reports, Manchester United would prefer to hire a football director before appointing a permanent manager. 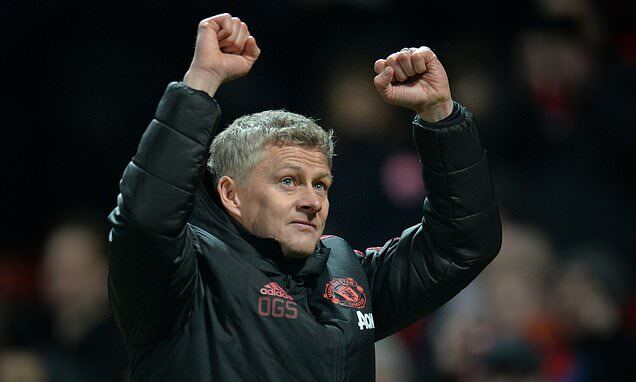 While Mauricio Pochettino remains the number-one choice to succeed Jose Mourinho, caretaker boss Ole Gunnar Solskjaer is now enjoying growing support from all levels of the club. Reports indicate that Sir Alex Ferguson, who has been advising Solskjaer and played a role in his hiring, would back his full-time appointment. Such circumstances complicate the situation, and represent one reason why they would prefer to appoint a director of football – as part of a wider technical body – before then. Red Bull Leipzig’s Paul Mitchell is admired by United, but it is expected to be very difficult to prise him from the Bundesliga club in the near future, which has meant club legend Edwin van der Sar – currently CEO at Ajax – is now attracting more interest. An ambitious plan to transpose the former Juventus team of Giuseppe Marotta and current sporting director Fabio Paratici has faded. Marotta does not want to work in England, while Paratici wants to remain at the Turin club. The issue of appointing a director of football became one of the most fractious issues with Mourinho, and played a part in the manager losing his job. The Independent has been told that the Portuguese was flatly against the introduction of such a figure, but even resisted the idea of some informal positions on the board to advise the hierarchy on football. Solskjaer is meanwhile proving hugely popular and is loved by the players, the staff and even key figures like Ferguson. It is now getting to the point where getting top four or beating Paris Saint-Germain in the Champions League last 16 are seen as potential game-changers in the process of hiring the next full-time manager. Barcelona boss Ernesto Valverde insisted he is unconcerned over Levante’s official complaint regarding their selection of Chumi in the first leg of their Copa del Rey clash. While the complaint has been raised that the club fielded an ineligible player, the Barca manager insisted he was right to pick Chumi. Young defender Chumi started last week’s 2-1 loss to Levante despite being due to serve a suspension after picking up five bookings while playing for Barcelona B in the Segunda Division B. Barca won the reverse fixture at Camp Nou 3-0 on Thursday – Ousmane Dembele scoring twice and Lionel Messi adding the third – to advance to the quarter-finals courtesy of a 4-2 aggregate success, with the draw for the last eight due to take place on Friday. However, speaking prior to kick-off on Thursday, Levante president Quico Catalan had stated his club’s intention to lodge a complaint to the Royal Spanish Football Federation, reportedly over Chumi’s involvement in the first encounter. Yet Valverde is confident Barcelona will not be kicked out of the competition and that Chumi was eligible to feature in the Copa del Rey. “We have no doubt about Chumi. Not before, not after, or during. We believe that tomorrow we must be in the draw. We are sure that we did it well. We knew perfectly well that Chumi was sanctioned, he could not be used in the match against Eibar [in La Liga]. We are convinced of what we have done. We have acted in an absolutely correct way. We have won where we had to win. It is very clear,” he told reporters in his post-match news conference. Barcelona will be looking to avoid the fate suffered by their rivals in the competition in 2015 when Real Madrid found themselves expelled for fielding an ineligible player. Madrid had played forward Denis Cheryshev in the first-leg victory over Cadiz, with the Russia international ineligible due to a suspension earned in the previous year of the competition while on loan at Villarreal. Los Blancos were forced to forfeit the second leg, and though they appealed, were bounced from the competition. According to English Media outlet Mirror, Manchester United are ready to hand Marcus Rashford a huge new deal — with Europe’s top clubs preparing to pounce on the forward this summer. England international Rashford has underlined his worth to the Old Trafford giants in recent weeks with six goals and three assists in nine games. United are understood to be ready to open talks with the 21-year-old over a double-your-money contract worth around £150,000 a week that would reflect his progression and importance to the club. Rashford’s £75k per week deal runs out in 18 months, and although United have an option to extend it by an extra year, there is a desire to tie him down with a more long-term arrangement. Spain’s European champions Real Madrid and perennial Italian title winners Juventus are just two of Europe’s elite clubs who are known to covet Rashford, whose future looked uncertain during the turbulent reign of former boss Jose Mourinho. 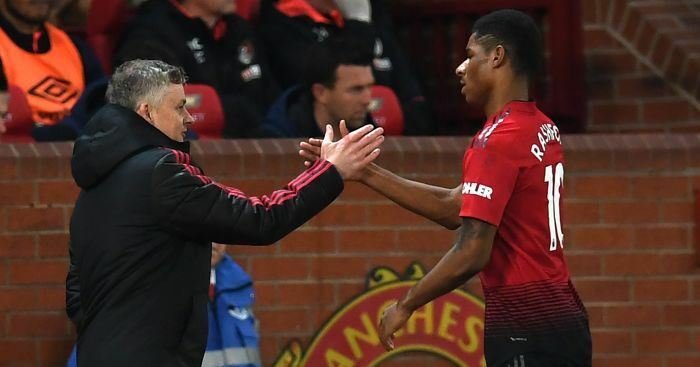 But academy kid Rashford, set to make his 150th appearance for the Reds in Saturday’s home game against Brighton, is thriving under interim boss Ole Gunnar Solskjaer and has taken his game to a new level since the former United striker’s return last month. 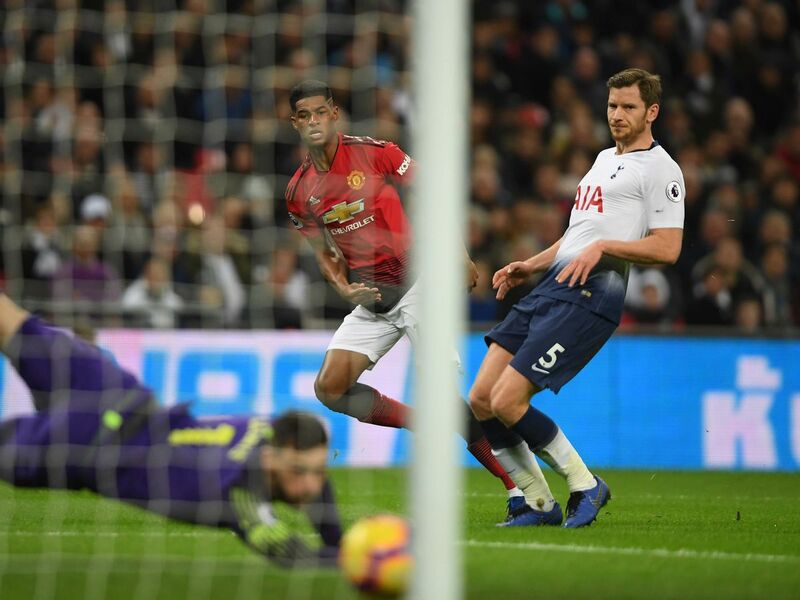 Rashford has flourished in a more central position up front, scoring a stunning winner away to Tottenham at Wembley last weekend and enjoying the best goal-run of his career since he burst onto the scene under then-boss Louis van Gaal in 2016. If he can find the net in the Brighton game, Rashford will take his Premier League goals tally this season to eight — his best return in the top-flight, with a third of the 38-match season still remaining. Italy international striker, Mario Balotelli, who played for Premier League top two sides, Liverpool and Manchester City, displayed his trademark power and strength by brushing aside his fitness coach during a speed and agility session at the gym. The Nice striker was completing an exercise that involved sprinting off a trampoline and then sidestepping left and right before a short sprint. During one intensive repetition, the former Manchester City and Liverpool striker collided with his trainer and sent him sprawling to the floor. Balotelli, who is currently at Ligue 1 club Nice, may be on the move during January with several clubs interested in his services. Marseille are frontrunners to sign him according to Sky Italy, with interest from Premier League Newcastle having cooled. While he managed 42 goals in 64 appearances for the club in his first two seasons in France, the enigmatic frontman has struggled for form this season and has no goals in 10 games. His side are eighth in Ligue 1 under former Arsenal midfielder Patrick Vieira, while Marseille are a place and a point behind. 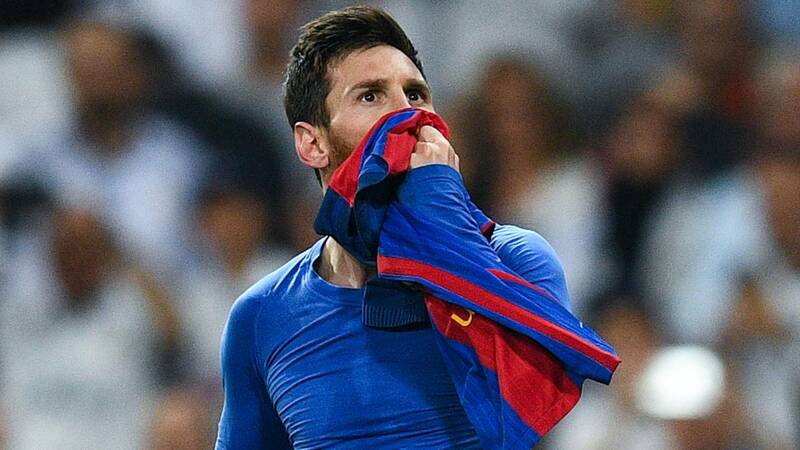 Barcelona captain, Lionel Messi has scored 575 goals in all competitions for Barcelona. He is now 68 goals behind the figure Pelé scored during his 19 seasons at Santos. As far as football records go, it’s fair to say that there are not that many left for Leo Messi to break. After reaching 400 goals in LaLiga for Barça – 575 in all official games at club level, Messi is closing in an another historic registry. First, he will be aiming at reaching the round figure of 600 for the same club – something which he could feasibly achieve this season. But without a shadow of a doubt, the historic figure is the 643 official club goals which O Rei Pelé scored for Santos. On his way, Messi has now gone past Gerd Müller (565 goals for Bayern Munich), Eusébio (473 goals for Benfica) and Cristiano Ronaldo (450 goals for Real Madrid). Messi totals 575 goals in 659 official games for Barça. He averages a mind-boggling 0.87 goals per game and if he continues at that rate – could theoretically equal Pelé’s tally in his next 78 games. That means that Messi could match Pelé’s club goals record by the end of the 2019-20 season or the start of the 2020-21 season. Two decades ago, it was generally thought that Pelé’s record would last forever – it would never be broken. With his numbers and given that he is showing no signs of stopping scoring, Messi has shown that Pelé’s record is now in danger of being equalled and even surpassed. He has been averaging 1.05 goals per game in LaLiga at Camp Nou and overtook Thelmo Zarra to become the all-time maximum goal scorer in the history of the Spanish league in November 2014. On that occasion, there was no special celebration at Camp Nou for the feat, and it was just as routine to see Messi hit the 400 league goals mark. He has spent nine seasons at Barça, ending as the league’s top scorer five times. If he does take Pelé’s record away, he might set a new record which may never be matched. Super Eagles international, Gbolahan Salami has joined Saudi Arabian side Al Qaisoma FC on a short-term deal. Salami, 27, who has been capped by the Super Eagles, previously played in Finland and Kazakhstan. His last club was Kazak club Irtysh Pavlodar, who he played for last year. Salami’s new club Al Qaisoma are just above the relegation zone in the Saudi second division. They are 17th in the 20-team championship with 22 points from 20 matches, just a point ahead of Al Ain, who are in the drop zone. They will certainly need Salami’s goals and drive to stay clear of relegation. Meanwhile, Super Eagles will know their first round opponents at the 2019 AFCON in Egypt when the draw is staged in April. The Eagles have already qualified for the tournament with a round of games to spare after they failed to qualify for the last two editions of the competition. A top official of the Egypt Football Association(EFA) disclosed the AFCON draw will be conducted in the first week of April. “The draw will be in the first week of April,” EFA official Ahmed Medjahed. “Six stadiums for the competition are already ready, while we will have all nine stadiums for the AFCON by April. The 2019 AFCON will see an expanded tournament of 24 teams and it will be played between June 15 and July 13. This will be Egypt’s fifth time of staging the African football showpiece after they hosted it in 1959, 1974, 1986 and 2006. They are a late replacement for Cameroon, who CAF said were not ready to host the best of African football. Zenit St Petersburg are demanding Chelsea go higher if they want to sign Leandro Paredes in this January transfer window. The Daily Mail says Zenit want £36m for Chelsea target Leandro Paredes. Talks between the clubs opened last week though Chelsea fell short with their opening offer for the Argentine midfielder who returned for training on Monday after the Russian League winter break. Chelsea’s opening offer was £26.8million, as they look to replace Monaco signing Cesc Fabregas. Paredes has scored seven times in his 43 matches for Zenit St Petersburg. He’s also previously played for Empoli on loan, Roma, Chievo, and Boca Juniors. Tottenham striker Son has said sorry to his club’s fans as he is part of the South Korea team that will participate in the upcoming Asian Cup which rules him out of some key games for his club. Son might be in the form of his career, having scored eight goals in his last nine games as Tottenham moved into second place in the league and into serious contention for the title. He will play one more league game — against Manchester United on Jan. 13 — before leaving for international duty at the tournament in the United Arab Emirates. He could be away for up to five of Tottenham’s matches in all competitions if South Korea reach the Feb. 1 final in Abu Dhabi. Son also missed the first part of the league season while playing for South Korea at the Asian Games where he led the team to the title and secured himself an exemption from military service in the process. “Of course I feel very sorry because I miss already in September,” said Son, speaking after scoring his latest goal in Tottenham’s 3-0 win at Cardiff. “I feel sorry for my teammates, the fans and the coaching staff. It’s difficult. Sometimes you think it’s a bit sad, but it is also important for my country. I hope I can keep my form for the national team and when I come back here again as well.” Son is likely to miss league games against Fulham, Watford and Newcastle, as well as the second leg of Tottenham’s Carabao Cup semifinal against Chelsea. 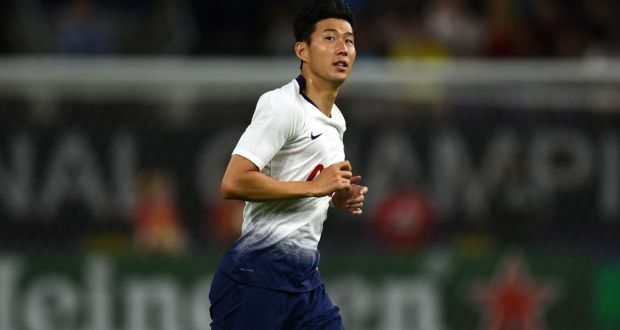 Spurs would want Son back in time for the Feb. 10 match against Leicester in the league, but there’s a chance he’d be tired after his exertions in the UAE where South Korea heads in as the favourite. After all, he struggled on his return from the Asian Games. “I was tired after the Asian Games because in that tournament I was playing after [every] two or three days,” Son said. “It is very important to be right mentally at the Asian Cup and to come back with a strong mind and be strong physically. “It [November] was a turning point for me because I was tired and I didn’t travel. It was good to have this time, some days off, and hard sessions with the team. But the Asian Cup is big for us because we have not won it for 59 years.” The Asian Cup starts on Saturday. However, South Korea and Tottenham have agreed that Son only needs to link up with his international teammates in time for the start of the knockout stage. The former Bayern Munich and Barcelona boss may have won the Premier League at a canter with Manchester City last season, but Pep Guardiola knows what it’s like to be in a title fight. The nerves that get to even the world’s best players at those crucial moments. The self-doubt that creeps in when the pressure is on. Guardiola’s nine La Liga championships as a player and coach at Barcelona did not come as easily as the three Bundesliga crowns he added at Bayern Munich. He had some titanic duels, not least with Real Madrid. It is why there was more than a hint of hope in the 47-year-old’s voice on Wednesday when he suggested that Liverpool’s title charge may well be interrupted by the odd stumble as the prize appears to be within their grasp. Jurgen Klopp’s side could crack under the pressure, Guardiola believes, and he has told his players to be ready when they do. When I lived in Barcelona and after Bayern Munich, I know what it means for the players. I can feel what they feel, the Liverpool players. After 29 years not winning the Premier League to be there to win it, I understand. I said to the players, that’s difficult to handle. That is why this season (we have to) maintain there for as far as possible. For me, that’s an immense and a huge motivation. Why don’t we try it, to catch them up and pressure them?’ he said. No Premier League team has been able to beat Liverpool so far this season. City came closest with Riyad Mahrez’s late penalty miss in a goalless draw at Anfield in October, and on Thursday night at the Etihad, Guardiola knows they must seize the opportunity to close a seven-point gap. After last season’s title procession, Guardiola knows he is in a very different race this time around. He is intrigued to discover how his players handle the pressure of chasing from behind after losing three of their last five Premier League games. ‘We cannot expect to be 12 or 13 points in front at Christmas,’ he said. ‘That’s happened once in our lifetime, last season. But it’s a new season and the opponent is so strong. If it is different pressure, we have to live it. We have to handle it. Liverpool’s visit to the Etihad last season ended in a 5-0 thrashing at the hands of City, but Guardiola is refusing to use that as a guide to Thursday night’s clash any more than a 2-1 defeat to Klopp’s side when the two teams met there again in the quarter-finals of the Champions League in April. ‘I cannot figure out what happened in the past is going to happen in the future. I have a feeling everyone can beat us, but also that we can beat everyone. Last year we beat them 5-0 here, but it doesn’t count now. It is Liverpool, with Manchester United the best team in England in terms of history. But we can beat them. I know today nobody trusts us, nobody gives one coin for us. They are at the moment the best team in Europe. But we are going to fight as far as possible for our chance to win the Premier League,’ he said. 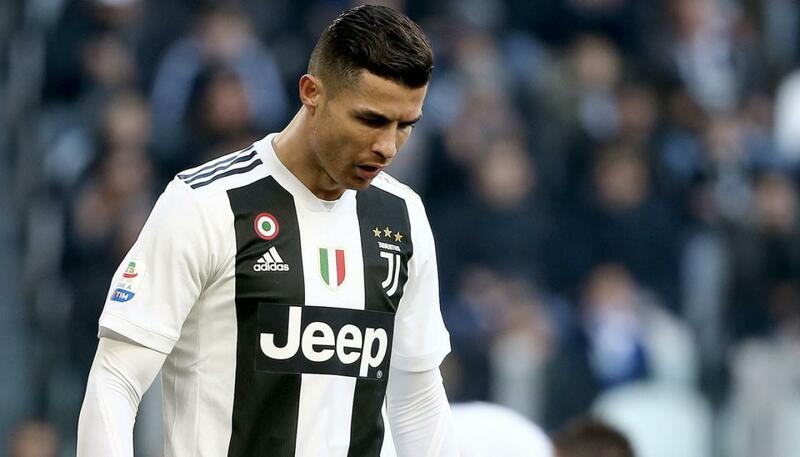 Juventus forward Cristiano Ronaldo will attempt to match Messi’s incredible record of scoring 50 calendar goals when the Old Lady take on Sampdoria in Serie A’s final match of the year. On Saturday against Sampdoria, Cristiano Ronaldo will play his last game of 2018 with a triple challenge in mind. The first, is to contribute to another victory for his team, the second is to reach the figure of 50 goals in the calendar year for the eighth time in his career, and the third is the most difficult; match the 51 that Leo Messi has already achieved this year, for which he would need to score a poker. It’s a huge challenge, considering that in Italy the most he has achieved in the same match has been a brace. The Argentine has surpassed the figure of 50 goals on eight occasions between the years 2010 and 2018. He was marginally out in 2013 when he ‘only’ scored 45 goals in 47 games. Since 2011, Ronaldo has always scored more than 50 goals in a calendar year, and his best stats came in 2013 when he managed an astonishing 69. So far in 2018, Ronaldo scored 28 with Real Madrid, six with Portugal (four of them in the World Cup) and 13 for Juventus, making a total of 47. It remains to be seen if Allegri decides to put him in the starting lineup or instead opts to give him some rest, as happened in the last League match against Atalanta. The Portuguese came on in the second half and played for 27 minutes, enough time to get the goal to secure a draw for Juventus. Against Sampdoria, the striker will be able to end 12 intense months in which many things have happened on a personal level. He won another Champions League with Real Madrid, was the Pichichi in the competition, played the World Cup in Russia, although with less success than expected, and put an end to his brilliant stage at the Estadio Santiago Bernabeuto continue his career in Turin. Barcelona ace Lionel Messi has acknowledged longstanding rival Cristiano Ronaldo, stating that any club would miss the Portuguese talisman as he is “one of the best in the world”. When Ronaldo joined Real Madrid from Manchester United, football saw the birth of arguably the fiercest rivalry in the game. Messi and Ronaldo set the rivalry that sees no end. Both have set and broken records, Both have five Ballon d’Ors, Both have set new heights in the beautiful game. At 31, Messi still continues to wreak havoc against opponents of Barcelona. The little Argentine has so far won nine La Liga trophies and four UEFA Champions League titles with the Catalan giants. 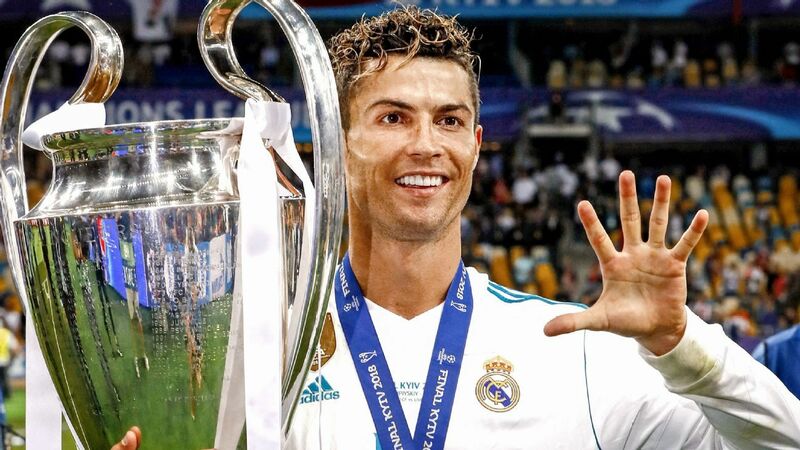 Ronaldo, on the other hand, won two La Liga titles and four Champions League crowns during his nine-year stint with the Los Blancos side. The Portuguese forward has moved to Serie A side Juventus in a shocking deal over the summer and looks set to win titles there as well. The five-time Ballon d’Or winner also spoke of their rivalry saying, “The rivalry with Cristiano was very healthy and very beautiful for the spectators.” Both Juventus and Barcelona top their respective league tables this season, with the Bianconeri remaining undefeated so far. While Juventus will next face Sampdoria on Saturday, Barcelona will lock horns with Getafe CF on January 7. Anthony Martial is not in the Man United squad for their Premier League fixture vs Huddersfield on Boxing Day at Old Trafford. Anthony Martial has missed Manchester United’s Boxing Day fixture with Huddersfield through illness. The 23-year-old was not among the squad members who checked in at The Lowry Hotel on Christmas evening and it was suggested he flew into Manchester on Tuesday night from Paris. United did not train on Christmas Eve but trained late in the afternoon on Christmas Day to prepare for Huddersfield’s visit. Martial was not present for the session and the club confirmed the Frenchman is unwell. “He must have had a bad chef over Christmas. If it’s food poisoning or something. I don’t know, but he has fallen ill over Christmas,” Ole Gunnar Solskjaer told MUTV. Martial scored United’s third in their 5-1 shellacking of Cardiff on Saturday and is the club’s top scorer this term with nine goals. The France international has been replaced by Juan Mata, while Diogo Dalot and Fred have come in for Ashley Young and Ander Herrera in the only other changes to the XI at Cardiff. Solskjaer also spoke to MUTV about the other changes, explaining: “The other two changes are just changes we thought were right for this game. “We are at home we want the crowd and the players to be excited, we want to attack this game from the start. It’s gong to be a different challenge to the Cardiff game, of course, because we are at home, expected to attack and go and create chances all of the time. Huddersfield are a different kind of team because they will try and just settle down and they’re good at keeping possession in their own half and if we’re not brave enough with enough players pressing they might just play through us. So we’re going to hopefully try to press high”. 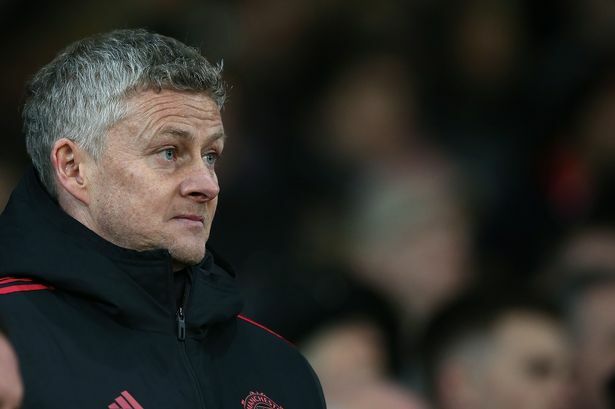 Solskjaer penned his first programme notes as caretaker coach and told supporters United’s season was still salvageable despite a turbulent first half of the campaign. “Hello and welcome to Old Trafford. I should start by underlining how excited I am to be back at Manchester United. I feel like I have come home. From the moment I found out that I was doing this role, today is the day that I really couldn’t wait for. To walk out at Old Trafford means so much to me and I want to thank you all for making me feel so welcome. Walking into the training ground on that first day last week was quite something, to see all the staff, many of whom I knew and a few new faces too – it was something special. After today’s game against Huddersfield Town, we will be halfway through the Premier League season and I am under no illusions as to the scale of the job ahead. We all have a lot of work to do in order to get this club back towards where it should be. Not only do we have to improve our results, we have to remind people what Manchester United is all about. We have to show everybody who we really are. Egypt star and current African footballer of the year, Mohamed Salah, will face no action from the Football Association for the incident which saw him win a penalty in Liverpool’s 4-0 victory over Newcastle United at Anfield on Boxing Day. The Penalty was dubbed as too easy by opposing fans. Reds forward Salah appeared to go down easily after having his arm tugged by Paul Dummett, and Magpies boss Rafael Benitez branded the spot-kick “soft” in a post-match interview with Sky Sports. However, the FA has confirmed the second-half incident did not meet the threshold to constitute deception of a match official. The Egypt international could have faced a two-game ban had he been charged with simulation, but will now be free to take part in the crunch clashes against Arsenal and Manchester City. Salah converted the penalty he won to double Liverpool’s lead following Dejan Lovren’s opener before Xherdan Shaqiri and Fabinho scored to wrap up a result that took Jurgen Klopp’s side six points clear at the top of the Premier League. Mo Salah has continued in his rich vein of form as he has found the net 12 times this season and is one behind the division’s leading scorer Pierre-Emerick Aubameyang. Cristiano Ronaldo’s departure from Real Madrid last summer was supposed to herald the reign of a new king in the Santiago Bernabeu. Isco, Ascensio and Bale were all tipped to match up to the standards of the Portuguese star, Former coach Lopetegui declared it was time for Bale to shine. Gareth Bale joined a prestigious group after scoring a brilliant hat-trick for Real Madrid at the Club World Cup on Wednesday. The Wales international squeezed Madrid’s opening goal past Kashima Antlers goalkeeper Kwoun Sun-tae shortly before half-time and pounced on a defensive mix-up after the break to score again, with his third goal soon after putting the result beyond doubt in the second semi-final. The 3-1 victory sets up a final clash with local heroes Al-Ain, who shocked River Plate on penalties to make Saturday’s showpiece. Bale has now scored in three different editions of the competition, having also found the net in 2014 and 2017, a feat only previously achieved by two other players. Of course, those two just happen to be former Madrid team-mate Cristiano Ronaldo and Barcelona’s Lionel Messi. Ronaldo netted for Manchester United in 2008, then again for Madrid in 2016 and 2017. Messi, meanwhile, was on target for Barcelona in 2009, 2011 and 2015. Tottenham and Chelsea will square off for a place in the EFL Cup final while Manchester City face Burton Albion in the other last-four tie. A trio of Premier League clubs are left standing in the competition but at least one will be eliminated when Spurs – 2-0 winners at north London rivals Arsenal in the quarter-finals – take on Maurizio Sarri’s side, who edged Bournemouth 1-0 at Stamford Bridge. Tottenham will host the first leg as they seek to avenge the 2015 final defeat they suffered at the hands of the Blues. 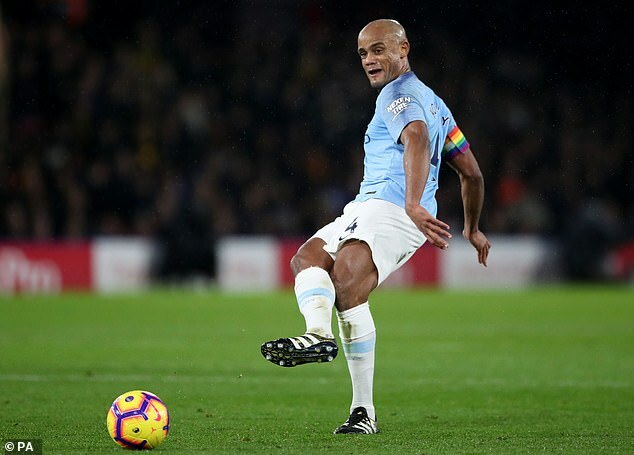 Holders City, meanwhile, will be confident of securing a return to Wembley after being drawn against League One outfit Burton, who progressed on Tuesday courtesy of a 1-0 win away at Middlesbrough. The first legs will take place in the week commencing January 7 with the reverse fixtures held a fortnight later. Gareth Bale put Real Madrid’s success ahead of his personal achievement after starring from the left wing with a hat-trick at the Club World Cup. Defending champions Madrid booked their place in the final against Al Ain by seeing off Kashima Antlers 3-1 in the last four on Wednesday, with Bale scoring all three goals. The Wales international has largely played on the right or in a central role during his time at Madrid, having initially broken through at Southampton and Tottenham as a left-wing-back, but he was back on the flank and linking up with Marcelo to good effect in the semi-final. 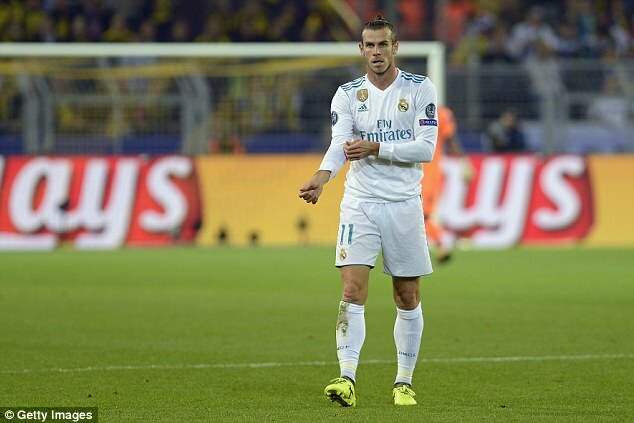 Bale insisted he would play any role asked of him by coach Santiago Solari as he looks towards clinching yet another trophy with the Spanish giants. “Throughout my [early] career, I played from the left wing,” Bale said. “I’m comfortable playing in that position. He added: “It’s great to score, but the most important thing is to help the team and reach the final. “It’s an important victory. We knew that it would be a difficult game against a team that’s going to make it difficult for us. We just had to be professional and get the victory and get to the final. Tottenham and England star, Dele Alli appeared to be struck by a plastic water bottle thrown by an Arsenal supporter after he scored his side’s second goal of the Carabao Cup quarter-final at the Emirates. But with just over 20 minutes, he was struck with a water bottle on the back of the head as he attempted to collect the ball for a throw-in. Alli immediately appealed to referee Jon Moss before clashing with Arsenal’s defender Sokratis. Alli also taunted the Arsenal fans by holding up two fingers to show the 2-0 scoreline. Tottenham manager Pochettino wasn’t so sanguine about the missile throwing and demanded Arsenal find the “stupid person”. “Yes I saw. When we play a derby we hate each other in a good way, but that looks in a bad way when you want to damage some people. One stupid person made a mistake. I respect the Arsenal fans. I hope that Arsenal take some responsibility. Through the camera you can identify. It wasn’t a problem but it could be a big issue. I think they will identify the people” he said. There also appeared to be other objects thrown by Arsenal supporters into the section occupied by Tottenham’s fans as the atmosphere turned toxic. The shocking incidents came after a Tottenham fan was banned for four years after being found guilty of throwing a banana skin at Arsenal’s Pierre-Emerick Aubameyang when the teams met in an acrimonious clash earlier this month. Manchester city manager Pep Guardiola is too much of a realist and a thinker to express any delight at the demise of his erstwhile arch-enemy and would-be nemesis Jose Mourinho at Manchester United. But as Manchester City reached the semi-finals of the League Cup, Mourinho was packing his bags at the Lowry, the second leg of his clash with the Catalan ending, like the first, in defeat. It hasn’t even been a contest, despite the bold words of one Mourinho aficionado, who claimed that the Portugeezer had “tactically and mentally bested” Guardiola in Spain. The stats revealed that was otherwise, and the implication was that United had brought in Mourinho as the only manager capable of combating Guardiola. But here we are, 30 months later and United are a bedraggled, battered and disunited outfit while City are ready to step up their defence of the Premier League title, are in a cup semi-final and favourites to win the Champions League. The Blues rubbed salt into Red raw wounds by reaching the Carabao Cup semi-finals – helped by three teenagers and a heroic 20-year-old goalkeeper. Mourinho had made capital of the fact that HE was not the “monster” who eats the kids, and was proud of his record of giving youth a chance, the implication being that Guardiola was that creature. But the sight of Phil Foden taking David Silva’s responsibilities on his slim shoulders, of Brahim Diaz giving veteran right back Danny Simpson nightmares, and of 17-year-old Eric Garcia looking every inch like a fresh-faced Franco Baresi on his debut, even that boast was made shallow. Barcelona superstar, Lionel Messi, has been presented with his fifth Golden Shoe award for leading all of Europe’s soccer leagues in scoring last season. The Argentine forward who scored 34 goals last season and led his club to the title was presented with the Golden Shoe award on Tuesday. Egyptian and Liverpool forward Mohamed Salah was the second leading scorer of Europe’s domestic leagues with 32 goals in the Premier League. ‘I love football, but when I started I didn’t expect all this. My dream was to be a professional player,’ Messi said. ‘This is thanks to the hard work and effort I have put in, and above all to my teammates. I have the best players in the world. Lionel Messi is the “best” following his hat-trick in Barcelona’s rout of Levante, according to director Guillermo Amor. It was the Messi show on Sunday as the five-time Ballon d’Or winner scored three goals and set up two others in Barca’s 5-0 LaLiga demolition of Levante. Messi – who teed up Luis Suarez and Gerard Pique to help Barca restore their three-point lead atop the table – has 14 goals and 10 assists this season, with the superstar the first player in Europe’s top five leagues to reach double figures for both in 2018-19. Discussing Messi’s performance afterwards, Barca great Amor said: “Leo doesn’t give up, he plays like that because he is the best. Messi’s treble took him to 50 strikes for the calendar year for club and country, the eighth time he has managed such a feat in the last nine years. The comprehensive victory was also Messi’s 323rd in LaLiga for Barca, taking him one above former club-record holder Xavi. Messi and Barca team-mate Suarez have scored 25 goals in LaLiga this season, one more than each of Real Madrid and Atletico Madrid. “Two players [Messi and Suarez] who have started very well, they are two goal scorers and they also assist,” Amor continued. Manchester United manager Jose Mourinho may be under pressure, but he received a vote of confidence from the stands on Sunday – albeit a rather unwelcome one. The Portuguese received an ironic show of support from a jubilant home fanbase as his Red Devils side once more failed to impress in a timid defeat. Mourinho and United suffered their second defeat in the space of four days at Anfield as Liverpool ran out 3-1 winners in a one-sided match. The loss leaves the Red Devils a whopping 11 points behind fourth-placed Chelsea, while they have already conceded more goals than in the entirety of the 2017-18 Premier League season. Such adverse form has raised expectations that Mourinho will soon be moving on, confirming once more the ‘third season curse’ that has followed him across his managerial career. Home fans at the weekend, however, gave him an unexpected show of support. “Don’t sack Mourinho!” was the cry from the Anfield faithful as their rivals slumped to defeat, words that will be of little comfort to the ‘Special One’ as Champions League football, let alone a title challenge, looks an ever more distant dream even at this early stage of the season. That conservative approach made little difference early on though, as Sadio Mane swooped to give Jurgen Klopp’s men the lead 24 minutes in with a smart volley steered past David de Gea. The away team then received a shock lifeline, as Alisson spilled an innocuous cross into the path of Jesse Lingard to equalise towards the end of the first half. Xherdan Shaqiri, however, was to prove deadly off the bench, scoring twice in the space of 10 minutes following his late entry to seal victory for the title-chasing Reds. It is a further blow for United, who went down to Valencia on Wednesday in the Champions League to squander a chance to take top spot in their group ahead of Juventus. Defeat at Anfield is calamitous for any Manchester United side, but for Jose Mourinho and his current team, Sunday’s display against Liverpool signaled a new low. The Portuguese boss will no doubt have his own answers, but it will be hard for him to explain away any of the damning stats to emerge following their dismal performance. For starters, the 3-1 loss, courtesy of Xherdan Shaqiri’s two second-half strikes, has left United 19 points behind their fiercest rivals after just 17 league matches, a margin which the Reds have never previously enjoyed in the top flight. The crux of their troubles has laid with their defence, and the numbers do not make pleasant reading. The third and final goal on Sunday evening was the 29th they have conceded so far during the current campaign. That’s one more than they conceded in the entirety of the previous season. 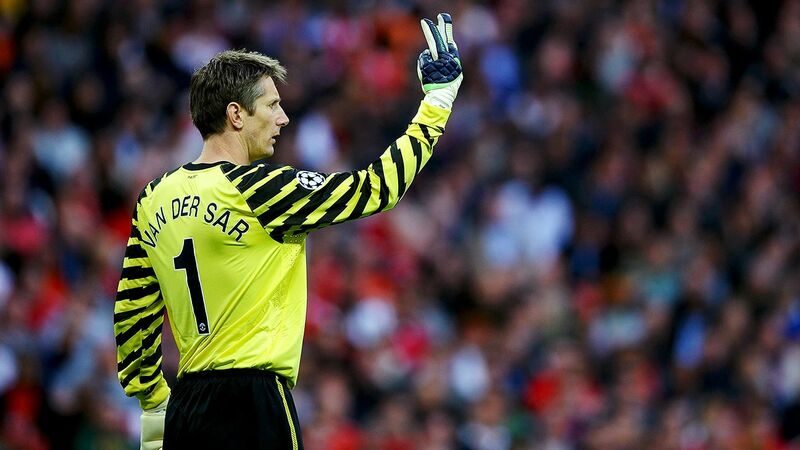 Not only that, but it is the highest amount of strikes they have conceded in the top flight since 1962-63. 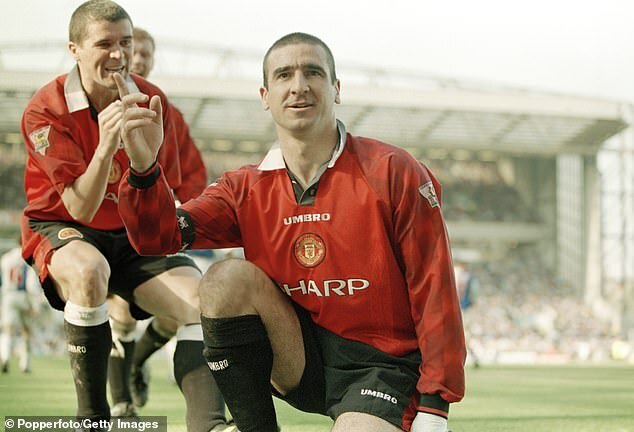 Of course, goals will flow when your defence is as inviting as United’s was on Merseyside. Liverpool mustered 36 shots, 30 more than their visitors managed. 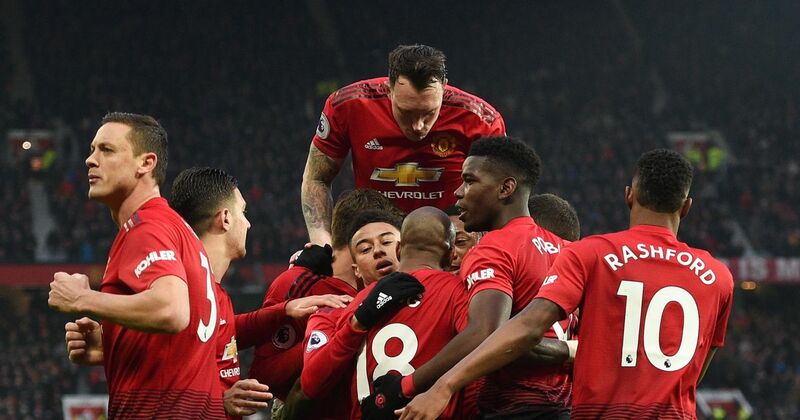 Not since records of stats began in the Premier League, in 2003, have Manchester United allowed an opponents as many attempts on their goal. The result leaves Mourinho and his side on 26 points, 11 points behind Chelsea in fourth. It is the club’s worst haul after 17 matches since taking the same amount from their first 17 matches under Sir Alex Ferguson in 1990. The Scot, with time, was able to turn it around. The will to afford Mourinho the same opportunity appears to be evaporating with every passing game.